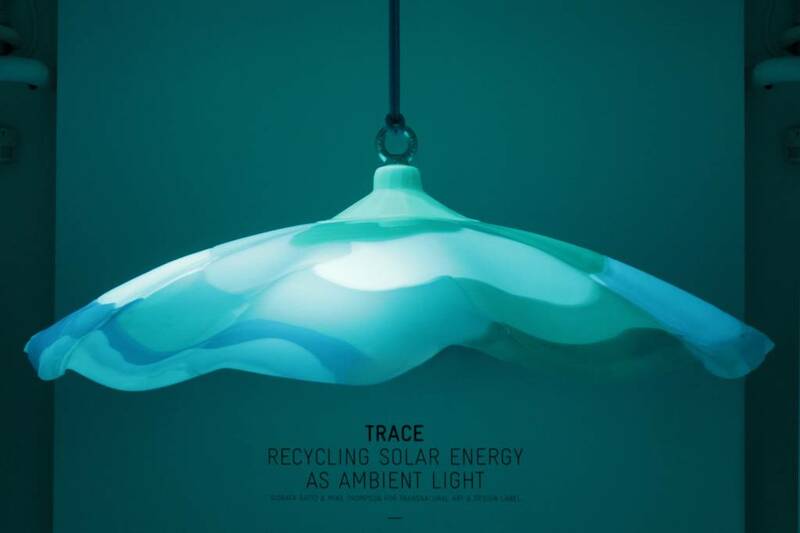 ___ Trace Light, designed by, Gionata Gatto and Mike Thompson shuns the use of electricity altogether, creating an intense ambient glow from recycled sunlight. Using photoluminescent pigments in combination with silicon, hand-made photoluminescent skins are developed to convert waste energy back into visible light. As darkness descends, a ghostly trace of light is revealed as the high concentration of photoluminescent pigments radiate recycled light energy as an intense, ambient glow.